Like a line of hard-marching Lemmings (or a swarm of Patapons), Sony’s countless, niggling enemies would like nothing better than to distract and steal the company’s hard-won fan base. The Playstation has long been the gold standard in console gaming, despite the Xbox’s recent challenges to the throne. But Sony does a good job. Graphics are better, gameplay is or can be more immersive, and in the battle for RPG dominance the PS3’s library is peerless. But now Sony is fighting against lots of great ways to waste your time. Stuck in a long line? Whip out the iPhone, RAZR, or Blackberry. Want to play something bigger and bolder? Pull out a tablet and rock a few hours of Civilization Revolution or Need For Speed. Want to watch a movie? Bring up Netflix on any device in the house save your kitchen blender. There’s not as much space for a dedicated gaming device out there as there used to be, and both Nintendo and Sony know it. 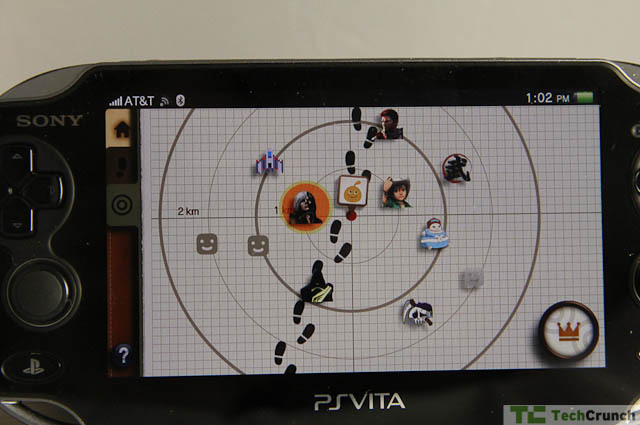 So what, then, is the Playstation Vita and should you care about it? The Vita is Sony’s latest handheld device. It’s a small game console that takes SD-Card-like like cartridges but depends more on customer downloads and local storage. It can play multi-gigabyte-sized games that would look more at home on a console or PC than on a handheld. You should care about the Vita because its success will define the value of the dedicated handheld in the marketplace. In a world full of devices vying for our attention; how a $250 handheld console designed with games in mind does in terms of sales and popularity is very important for Sony, Nintendo, and Microsoft (not to mention stealth game console manufacturers like Apple and Google). Sony said this console has to last for another eight years in the marketplace, a prospect that seems a little far-fetched. The more important question is whether it lasts just one year without a major price cut and whether it lasts out this decade as a handheld console of choice. The first thing we need to understand is that the Vita is far more than a PSP successor. Although it looks quite a bit like the old PSP, gone are the hard edges and moving parts of Sony’s previous design generation. The aesthetic here is rounded, soft, and usable – perhaps a nod to the softer, curved designs found in newer phones. There are two analog sticks on the left and right sides of the screen along with a four way directional pad on the left and four action buttons on the right. 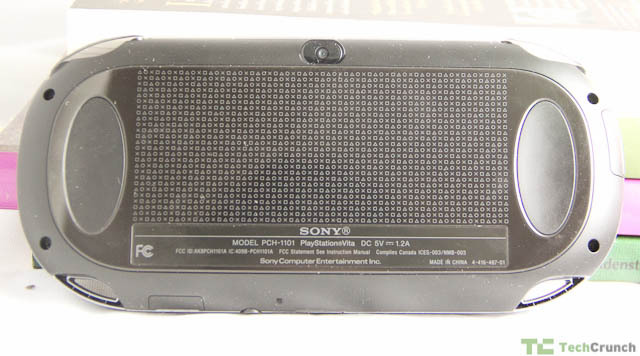 There are a two shoulder buttons on top along with a Vita card slot and HDMI/audio port. On the bottom is a port for a Sony mini card next to Sony’s proprietary charging and data cable. There are no USB ports on this thing. But there is, famously, a touchpad on the back. The 3G version has a SIM card slot on the left side. There are built-in stereo speakers and a small microphone as well as VGA cameras on the front and back. The Vita is surprisingly light. It looks like it should be a dense product of Japanese engineering. Instead it feels almost hollow (in a good way) which makes it much easier to hold for longer periods. The 5-inch OLED screen is powered by a Sony-built quad-core ARM-based processor and is amazingly bright and clear. 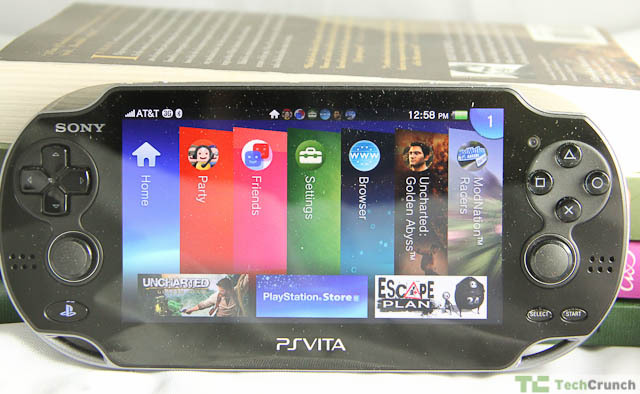 The Vita contains 512MB of RAM and Bluetooth and Wi-Fi support. It also contains an accelerometer for sensing position changes and a GPS chip. iFixIt found the device to be well-made and surprisingly serviceable. All told, the Vita is very usable. The UI is based on “lozenges” that display various apps, including every game that has ever run on the device. This makes for some odd situations when you tap the lozenge for a game that isn’t currently in the Vita’s card slot (although you can transfer games to the on-board memory to remedy this). These lozenges are sort of like pointers to various content, a sort of reminder that you own a game rather than access to the game itself. The distinction isn’t important enough to discuss further, but it’s a quirk that bore mentioning. The UI also uses a unique sticker interface to handle multi-tasking. You can multi-task in any app by pressing the dedicated Playstation button. When you do this, you bring up the main screen. Then you access other screens by swiping left or right. When you’re ready to “close” an app or game, you swipe from the upper right corner down, essentially “peeling” it from the screen. The same UI trick happens when you unlock the Vita – you “peel” off the lock screen. This makes it easy to see what is currently running and coupled with a sort of mini dock at the top of non-clickable icons, the Vita OS becomes more like a mini computer than a games machine. Clicking the Playstation button twice brings up a stack of current apps running on the device, including a notifications list where your trophy wins and download status resides. Other apps include Sony Music and a video player as well as a Google Maps-based mapping app. There are also apps for the PSN Store as well as a trophy case, a Friends list, and a system for multi-player chat called Party. Gaming on a Vita vs., say, an iPhone is a revelation. The games are responsive, crisp, and vibrant compared to similar games on the iPhone and Android platforms. Uncharted: Golden Abyss, for example, is as good as any console game, with loads of textures and rich, high-poly environments that you would see on any PS3 or Xbox. Barring a few artifacts, you will be amazed at the quality. Because the Vita also plays some PSP games, you’re able to experience last gen gaming running on the Vita’s superior processor. For example, Dungeon Hunter: Alliance, a 1GB PSP game that I downloaded, was on par with an iOS native version of Dungeon Hunter 2. However, the game was much easier to play on the Vita because of the dual joysticks and – oddly enough – the rear touchpad. This is not to say all is wine and roses on the Vita gaming front. If you are not a fan of Sony’s brand of gaming, you’re not going to be happy with the initial crop of games. The Uncharted title, while graphically stunning, is a long movie interspersed with running while the more casual titles like Super Stardust Delta display superior graphics and dubiously enticing gameplay. Assessments of game quality are highly subjective, however, so I’ll leave those to a minimum. Sony has a massive following and their games are often considered the epitome of the video game arts (Final Fantasy and Metal Gear come to mind), at least by their fans. This device will do all of those titles justice. Online play is very simple to set up with friends and/or strangers. Sadly, online play was mostly disabled for the titles I had access to simply because there weren’t many Vitas floating around on the network yet. However, the “friend discovery” system, called Near, is worth a deeper look. The most interesting part of the Vita UI is a system called Near. Near allows you to find people who are playing PS3 or Vita games and friend and/or challenge them. You can also chat and play with these nearby folks (once you’re connected) allowing you to create an ad hoc network of buddies who are within your general vicinity (say 2 kilometers or so). While online play has been around for years, the PSP’s was historically abysmal and this means to rectify that. In fact, the “loose” nature of the networks created encourages game discovery as well as friend discovery, something that is slightly more difficult on the Xbox and considerably more difficult on the Wii. In short, Near is the Vita’s way of going viral. If you can see others with Vitae nearby, you’ll be more inclined to consider other popular games and you’ll generally play more. It marries the best aspects of local discovery a la Foursquare with some of the better online gaming solutions. I write this last section with a bit of sadness. The Vita, while amazingly capable and very cool, may be the last of its breed, a bold experiment in its evolutionary stage waiting for the crash of a meteor to wipe it off the planet. Kotaku’s review hits the nail on the head: while the Vita (and, arguably, the 3DS) offers a superior gaming experience to any tablet or smartphone, my money is on the non-dedicated gaming device rather than a system that does one or two things well. You’ll note that I didn’t cover the browser or the music services on this device. They exist and they work, but they are far from perfect — to be honest, they aren’t great. For example, the browser doesn’t work while a game is running in the background. The primary reason I browse the web around any game is to pop over to the FAQs or Wikis for a particular title (I’m not a very good gamer and Skyrim is hard). To be forced to close out of a game in order to browse is quite nasty. The browser also doesn’t support Flash 9 out of the box. A battery life of 3-5 hours is strong but not ideal and the device doesn’t play well with some devices so there is no promise that you will be able to charge over USB. I tried a number of ports, including powered USB ports, and the results were mixed. The console really shines with in-depth, graphics rich games but if you know it’s going to die in a few hours, the impetus to get into an RPG is reduced. That leaves casual gaming, a space in which many other devices excel. I want to love this device and I suspect a dedicated gamer will find it far superior to any other device, the Nintendo 3DS included. But I feel this will be the last iteration of the “dedicated gaming” handheld we see. To be clear, the Vita does purport to be a connected console. It does support 3G and wireless and we can assume that some sort of Skype app will appear sooner than later. Netflix is coming. It already has voice chat with friends so something similar for general chatting can’t be far off. As a device, the Vita is stellar. It has all the right pieces in all the right places – the huge, bright screen, the dual analog sticks, the acceptable battery life, the size, shape, and weight. I wish all Sony products were like this – intelligently designed, handsome, and usable. Sony has finally figured out how to put all the puzzle pieces into the right spots and it is an example of what the company can do when it produces a device dedicated to its biggest fans – gamers. Who should buy it? PS3 and SCEA fans, definitely, and general gaming fans secondarily. If there are any titles that catch your fancy, you won’t be disappointed when you play them on this thing. However, as it stands I can’t actively recommend any of the launch titles as “must haves” although, as I said before, they are technically impressive. Not a gaming fan but interested in this as a media player? Pass. There isn’t enough here to replace a good tablet or phone. I would, as a parent, also recommend caution before picking this up for the kids. The titles are not there to warrant the investment. Time will tell how the Vita shakes out in the gaming market and everyone I’ve spoken to agrees that it’s an impressive and compelling package that, in many ways, feels like the end of the line.